Six Authors! Oatmeal Cookies! Apple Cider! Pumpkin Cupcakes! Truly the ingredients for a fine Indie Authors’ Day. 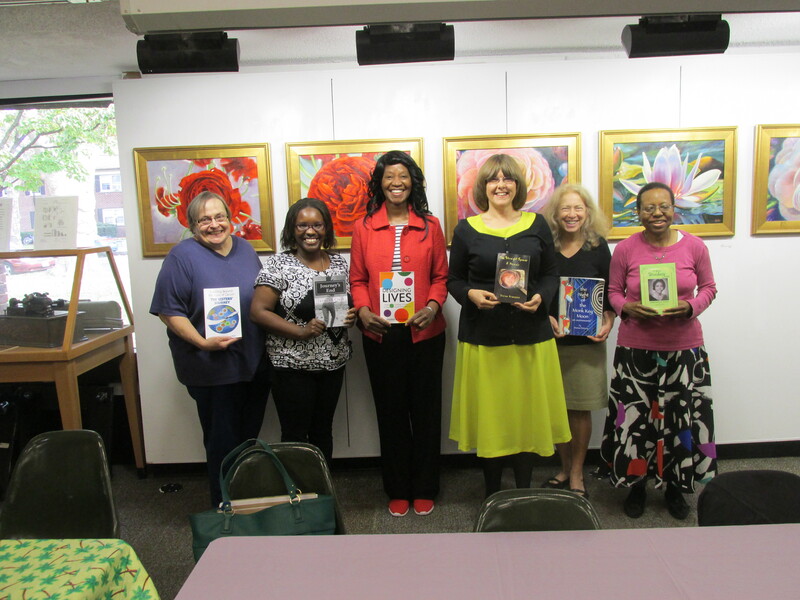 Public libraries all over the world celebrated their independently published authors. Springfield Public Library was one of seven public libraries in New Jersey that observed this special day. As shown from left to right in the photo above, each writer read excerpts (or showed pictures) from her book and discussed the process of publishing it. Afterwards, audience members bought books and enjoyed the refreshments. Although I made oatmeal cookies and my fellow artistfriend, Denise DeVone, brought seltzer, my sisterfriend kindly provided assorted cupcakes, cider, vegetables, and cookies to complete our refreshments. In celebration of Ida Bell Publishing, LLC’s third anniversary and to help fund the many thought-provoking programs the library offers, Wendy Jones placed a star on the donor wall at Springfield Free Public Library on May 6, 2018. Several friends attended the ceremony.